Obituary for DAVID T FLOYD | Whitwell Memorial Funeral Home, Inc.
Floyd, David, David T. Floyd age 78 of Whitwell passed away, Sunday, November 25, 2018. He was preceded in death by his wife, Jane Green Floyd; parents, Thomas & Genny Odell Floyd; children, Bryan Keith “Rabbit” Floyd, Robby Floyd, Jimmy Dale Green; sisters, Patsy Floyd, Ellen Summers, Paula Holland, Carolyn Sue Floyd. 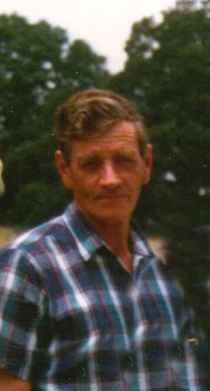 Those left to cherish his memories are Christopher Thomas Floyd of Texas, Janet Morrison of Whitwell, Tina Smartt of Gruetli Laager; sister, Faye Floyd of Hixson; brother Phillip Floyd of Whitwell; eleven grandchildren, several great grandchildren, nieces and nephews. Family will receive friends 4-8PM, Tuesday, November 27, 2018. Graveside services will be at 1PM, Wednesday, November 28, 2018 at Griffith Creek Cemetery with Rev. John Potts officiating.